Jaana Veronika graduated as a Cidesco make-up artist from The Professional Make-up Center, Helsinki, in 2001. For 18 years she has been a freelance make-up artist for commercials, advertising, short movies, TV-series, magazines, corporate publications, events and private clients. For several years Jaana Veronika has worked as an assessor for the vocational examinations in theatrical make-up. Her make-up studio Hohde Make-up & Hair for private clients and small-scale shootings is located in Viherniemenkatu 7, Hakaniemi, Helsinki. Jaana has worked with many international film-crews and enjoys meeting professionals from other countries. She has experience in doing make-up for women from more than 20 different nationalities all around the world. Finding a person’s own natural beauty is her passion, everyone is beautiful whether one knows it or not – although sometimes the work of a make-up artist means making someone ugly! Versatility and variability of the profession makes the work interesting. Satisfaction of the client is always her goal. She trains her profession regularly in Finland and internationally. Her biggest enthusiasm is fantasy make-up and hairdos. In 2014 she was recognized with the Make-up Achievement of the year -award. ​Jaana Veronika has worked as an assistant for renowned body painting artist Riina Laine. They achieved great international success competing at World Bodypainting Festival, Austria, (World Champion in brush/sponge 2014, 2nd place in brush/sponge 2013) and at Living Art America - Bodies as a Work of Art competition 2013, United States (3rd place). 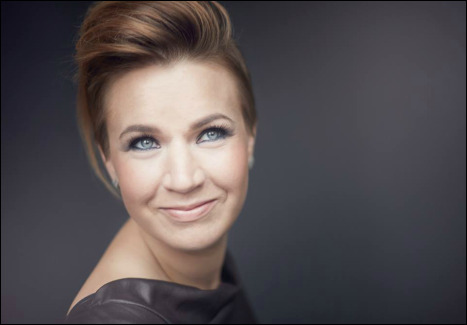 Jaana Veronika also performs as a singer and pianist at weddings, baptisms, parties and events. Book a full service wedding package: make-up, hairdo and a music performance to the wedding ceremony! She is based in Helsinki, Finland, but is willing to travel when necessary. You can book Jaana Veronika or contact her in any make-up & hair or music performance related questions by telephone or email. Follow her work on social media, too!